A new partnership between two companies is designed to make it easier for teachers to create their own online courses, tutorials and homework assignments with interactive elements. 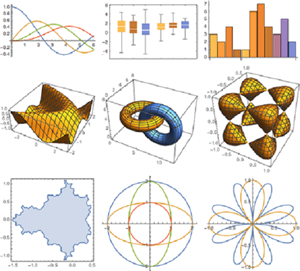 Simultaneously, new "gadgets," the building blocks of Wolfram's interactive learning elements, have been released, bringing the number available to educators to 48. With the Versal software, teachers are able to build highly interactive and customizable learning experiences of various kinds, including everything from full courses to short lessons. With the assistance of Wolfram's learning elements, they will now be able to embed content in Web sites, blogs and learning management systems that can be used for flipped classrooms, blended learning and project-based learning. "Computation-based interactive content should be a part of every classroom," said Wolfram Research CEO and Founder Stephen Wolfram. "With Versal, there's an amazing opportunity to bring a new level of interactivity and computational knowledge to a wide range of educational settings." Teachers can now drag and drop the Wolfram gadgets into a course creation canvas to create almost any kind of instructional content they want. "Videos and slide decks no longer make the grade," Versal CEO and Co-Founder Gregor Freund said. "Online assignments have to be interactive. We're inspired by the way teachers are using Versal and can't wait to see how they transform learning in the coming years." In a statement, officials at both Versal and Wolfram said further collaborations are in the works.